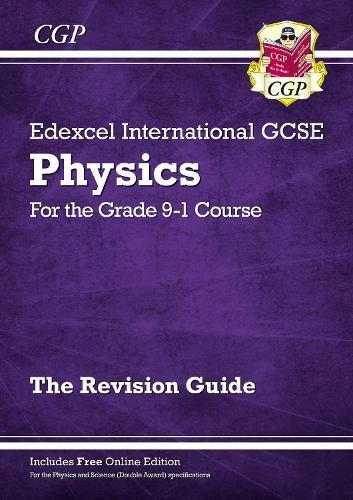 This CGP Revision Guide explains everything students will need for success in Grade 9-1 Edexcel International GCSE Physics (and it's great for the Physics parts of International GCSE Double Award Science too). Every topic is explained in our straightforward style and is packed with examples. We've included all the experiments students will need to know, a whole section on experimental skills and plenty of practice questions throughout the book (with answers at the back). To top it off, there's a free Online Edition of the whole book - just use the unique access code printed inside the cover to access it on a PC, Mac or tablet. A matching Physics Exam Practice Workbook (9781782946885) is also available.